Amazon: Free Kindle download of Wonderful Wizard of Oz and Alice's Adventures in Wonderland! Amazon: Free Kindle download of Wonderful Wizard of Oz and Alice’s Adventures in Wonderland! 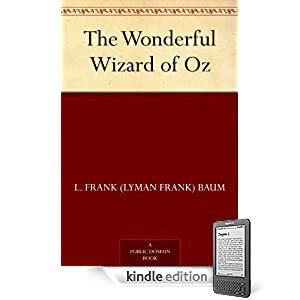 Amazon.com has a free download of The Wonderful Wizard of Oz for your Kindle device! I’d grab it now because it might not be free long. 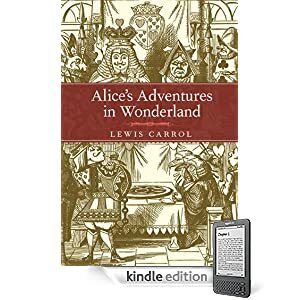 Amazon.com also has a free download of Alice’s Adventures in Wonderland for the Kindle. You can also see the top 100 free books here. Just look at the column on the far right. You can go here to start finding your own free books! Okay sorry if this is a stupid question. I don’t know much about the Kindle. My inlaws are talking about getting my oldest daughter one for Christmas. My question is if I download it to my PC, can it then be put on the Kindle if she gets it? Or can she only read it on my PC? Thanks. I am not sure. I think it’s only one or the other. I know when I download books it goes straight to my iPhone and then I can’t download them again. I am not sure but I am in the same boat. I did find this…”Automatically synchronizes your last page read and annotations between devices with Whispersync”. This makes me think you can sync between the computer and a kindle.